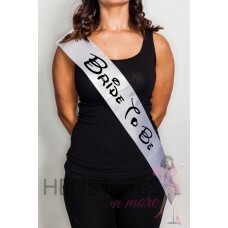 Maid of Honor Sash. White with Pink writing. Low grade quality Satin Sash. Pleas.. Satin Deluxe Sash with a Bow Bride to Be ..
Love Disney? Why not make your party wear our Disney Inspired Sashes! One Siz..